Blackberries are growing everywhere in Aberdeen right now, and it’s slowing my walks way down that I have trouble walking past blackberry bushes without stopping. I’ve snagged all my sweaters on these dangling vines, and tights are out of the question entirely. Some days I carry a bucket and fill it up so I can have blackberries in my Greek yogurt, and sometimes I abandon the walk altogether in favor of gathering enough berries for a cobbler. This recipe calls for around six cups of blackberries, but basically if I have enough berries to fill the bottom of this dish, I just go for it. 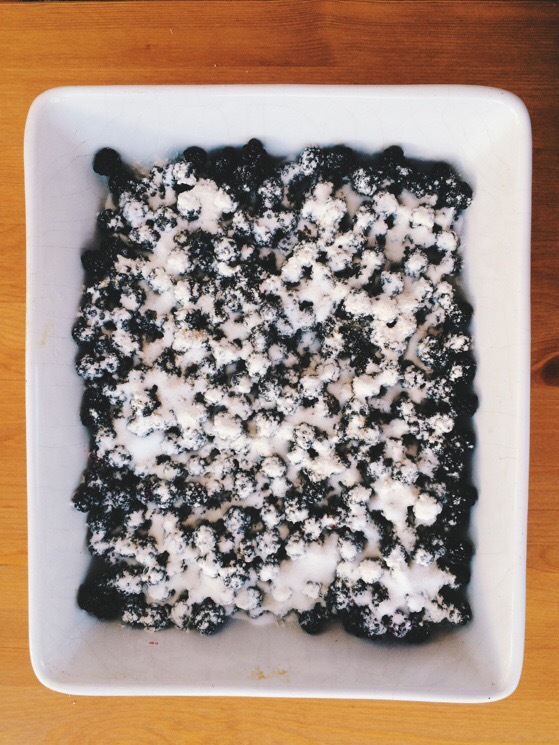 You throw a few ingredients on top of the berries and then add the streusel topping. Bake it up and serve it with ice cream or just whipped cream is pretty lovely as well. 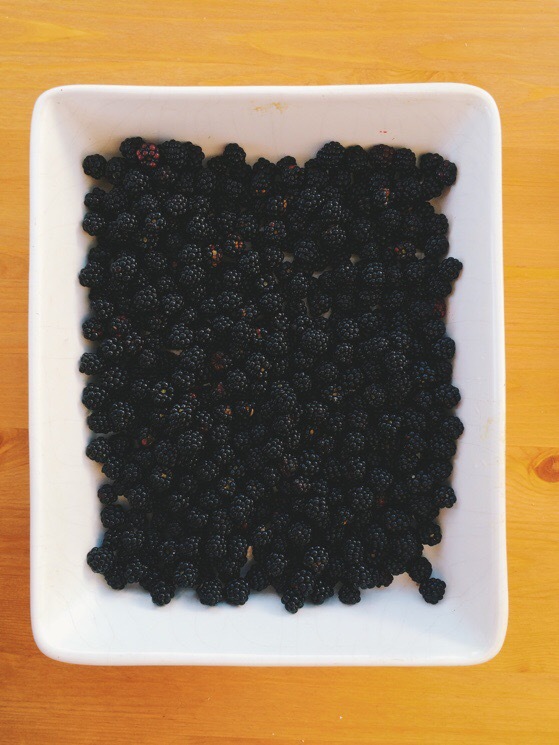 Place blackberries in a 9×13 baking dish. Sprinkle flour, sugar and salt on fruit. Stir in gently. Prepare streusel: Stir together first brown sugar and melted butter. Add flour and walnuts (if using). Stir until blended. Let sit for a minute until firm enough to crumble into small pieces. 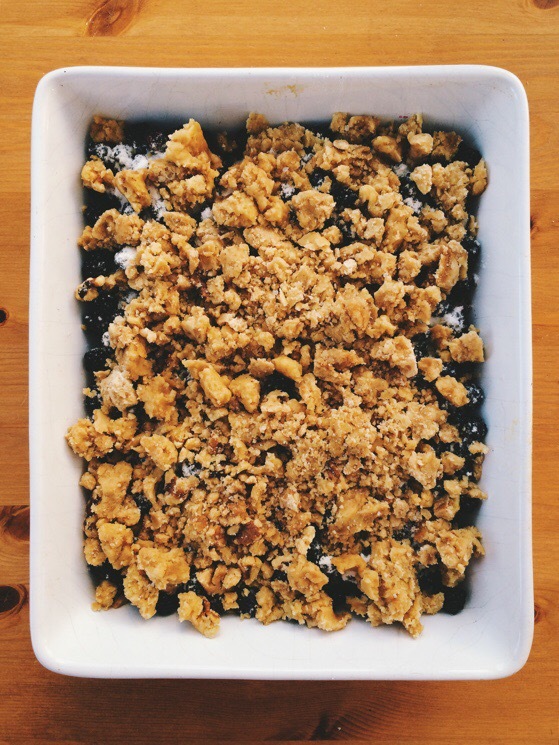 Crumble over fruit. Bake at 375° (or Gas Mark 4 or 175 degrees C) for 30 to 35 minutes or until bubbly and golden brown. 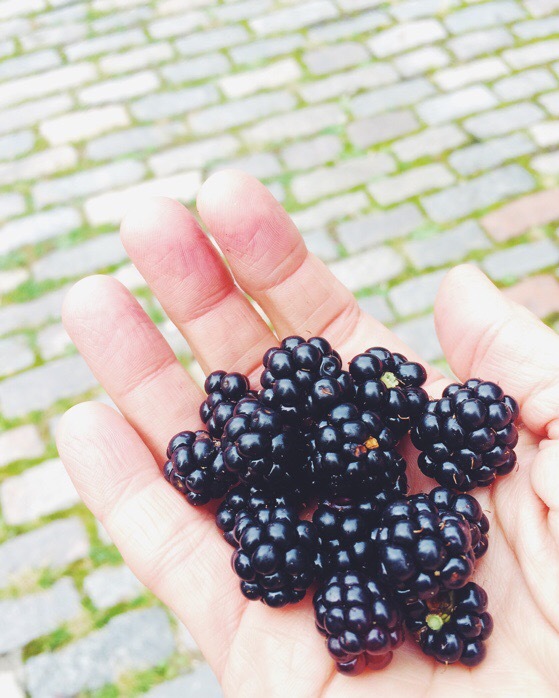 PS Here’s a little video of a blackberry picking + cobbler making day in Scotland! I want to pick and eat with you RIGHT NOW! Looks delicious and makes me terribly miss sitting around a table with you.